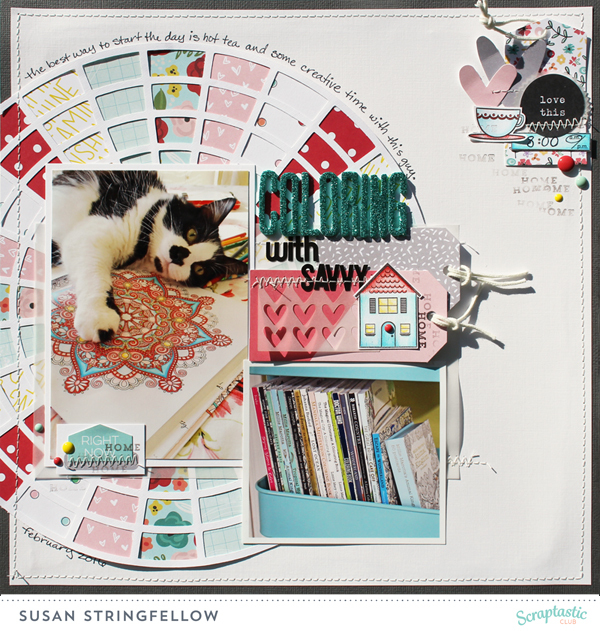 Its time again on the Scraptastic Club Blog HERE to have a member challenge. The members come up with ideas of how to challenge a few of the Design Team Members. This month the challenge was to use the digital cut files. I know that you know I love the cut files so I definitely played along. I used the May Cherry Pie kit, Add on Kit, Cherry Pie digital cut file, and Eloise Stamp set. 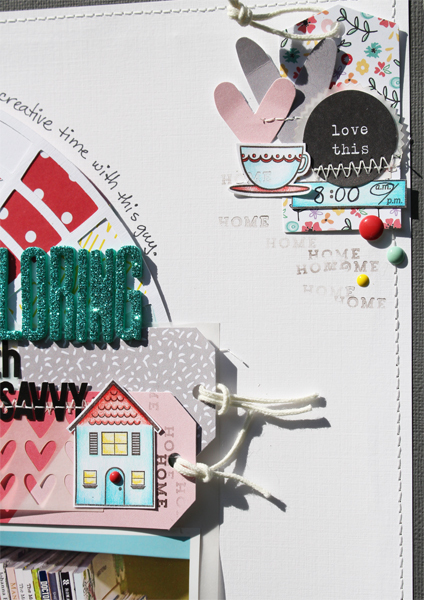 I have to also add that I am a bit sad because this is my last layout for Scraptastic Club Design Team. I have stepped down from the design team to spend more time scrapbooking on my own with friends at Disney Scrappers. It was such fun working with such a talented group of ladies and playing with all the gorgeous kits and stamps, so I will miss it for certain. I used a few of the stamps from the Eloise Stamp Set, because my layout is about my other hobby, adult coloring books. I color in the morning while I have tea and Savvy is very very helpful. I use Prismacolor colored pencils when I color so I used them for these cute stamped images.